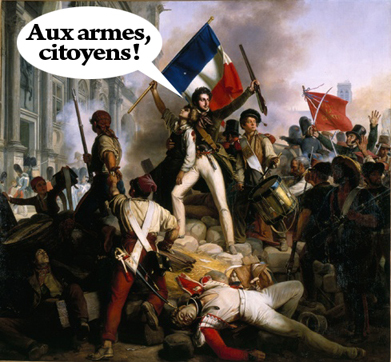 Have the first blows of a revolution in the French camp been struck? Damien Traille, one of the elder statesmen in the French squad at 32 years old and with 85 test caps to his name, has openly expressed his anger and disappointment with Marc Lievremont in the wake of the heavy loss the French suffered at the hands of New Zealand. “I’m wound up,” the full-back said. “When you’re taken off at half-time and you get no explanation, it’s tough. I take that as a punishment. It’s the first time I’ve been taken off at half-time and, when you’re a competitor, that’s hard to take. It’s not great for confidence either. Traille is a player who often comes in for criticism from the English-speaking northern hemisphere rugby media. He’s often portrayed as a big lumberer, a Frankenstein’s monster of a threequarter who deprives more talented – and more typical – Gallic backs of their time in the sun. In contrast, the Mole is not a big Traille-basher. Firstly, he remembers when Traille and Tony Marsh formed a great centre partnership in 2002-03, and even more so, when Traille and Jauzion used to be paired together in the centre for the best part of four years [although Florian Fritz had a good run in the No13 jersey in 2006]. The Traille/Jauzion combination was scarily dominant and effective in the Six Nations. It obviously lacked a little in out-and-out speed, but when you have the likes of Clerc, Heymans and Poitrenaud in your back three, what’s the big deal? There was immense size and physicality in that partnership, and both players had buckets of skill: Jauzion had clever lines of running and a phenomenal off-loading game, and Traille had a big boot both out of hand and off the ground … he could even drop goals. I’m not quite sure why that partnership was broken up so early. Oh yes, it’s because Clement Poitrenaud spent the most part of RWC07 playing like an absolute drain at fullback. A lot of Traille critics slag him off for his woejous performance against England at fullback, but they clearly didn’t see Poitrenaud acting the goat against Ireland in the group stages. He was horrific, a total liability in a French team that had an otherwise watertight defense. Beyond Poitrenaud’s failings, it regularly goes unmentioned that Traille actually played in the No15 jersey against New Zealand in one of the greatest matches in World Cup history … they mightn’t have won that most epic of upsets without his contribution. In defending Traille, the most salient point to remember is that players don’t pick what positions they play in. Bernie le Fou picked him for his first ever international start at fullback against NZ in that quarter-final – what are you going to say? “No, I only play inside centre”? In a similar vein of argument, but at a far, far more extreme level, Lievremont has moved him around from outhalf to centre to fullback … they’re three very, very different positions. In 2008, he was solely used as a centre, the poor game he had at fullback against England in the semi-final still very much in everybody’s minds. Then he 2009, he started some games at fullback again, and some at centre. Then he was the starting French outhalf in November 2010, then back to fullback for the first game of the Six Nations against Scotland, then centre against Ireland, then dropped for two games, and then centre again in the last game … then fullback again in the warm-up match France played against Ireland in Bordeaux, and fullback for a couple of games in the World Cup. To put it bluntly, that’s ridiculous selection. Is there enough juice in this French squad to do what England did in RWC07 and essentially take over for themselves? The Mole is not convinced. Dusautoir isn’t a vocal leader, and unless somebody emerges – Rougerie? Trinh-Duc? Servat? Traille himself? – as the inspirational face of any French player-powered uprising, their World Cup is going to be dead in the water. This entry was posted in RWC 2011 and tagged Damien Traille, France, I Am Not A Clumsy Clouseau-esque Waiter, L'étendard sanglant est levé, Marc Lievremont, Tony Marsh, Yannick Jauzion by dementedmole. Bookmark the permalink.